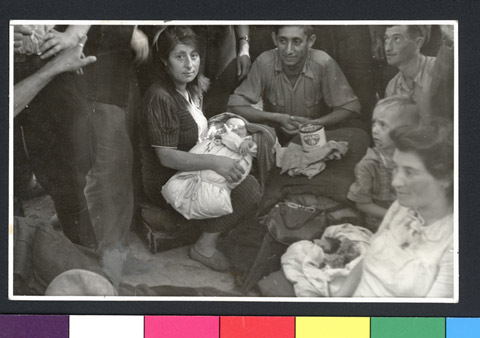 JDC - Archives : Mother and child sit with Jewish refugees outside. Search > Search Results > Mother and child sit with Jewish refugees outside. Title Mother and child sit with Jewish refugees outside. Description To meet the needs of a large influx of refugees, mostly from Poland and Romania, JDC supported the conversion of the Rothschild Hospital into the Rothschild Reception Center. JDC lobbied UNRRA to absorb the makeshift center into the DP camp network.